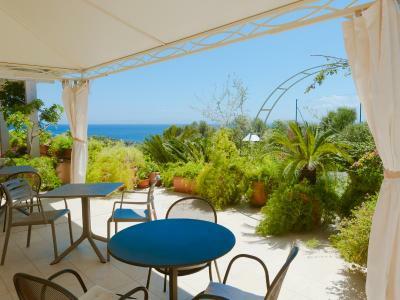 Lock in a great price for Park Hotel Asinara – rated 9.1 by recent guests! Everything: Hospitality, Complementary services, Location, Cleanliness, Breakfast, Gesture of hosts. The breakfast was delicious and the room was spacious and clean. The hotel provided transportation to and from the beach which was convenient! Fabulous breakfast buffet. Best I have seen. High quality food, frequently replenished, never overcrowded. Great, attentive and helpful service. You like like you know the staff. The staff were super friendly - especially Simona. The breakfast was amazing. The views gorgeous. 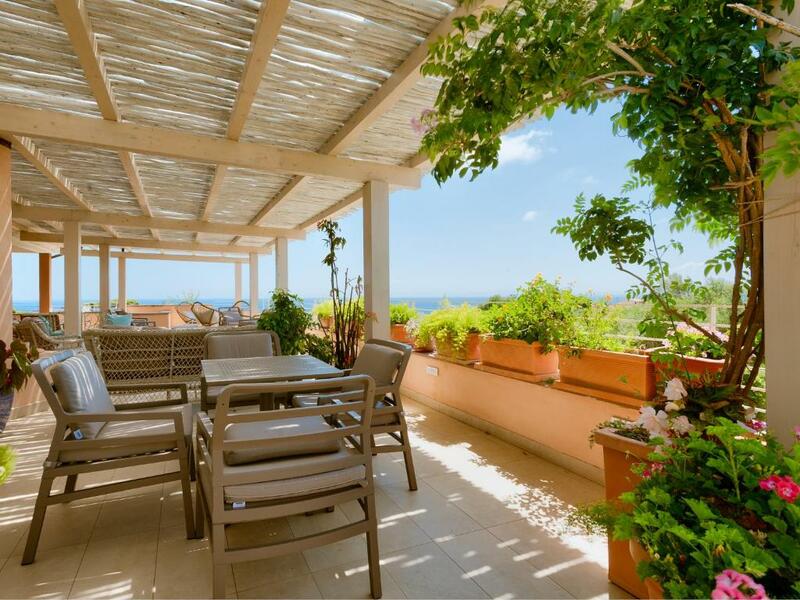 Rooms are spacious with beautiful large terraces. Wonderful view and breakfast and great service minded ladies in the reception and breakfast room! The room was very spacious and the bathroom too. The breakfast was exceptional. Nice room and terrace. Very good breakfast. Friendly staff. 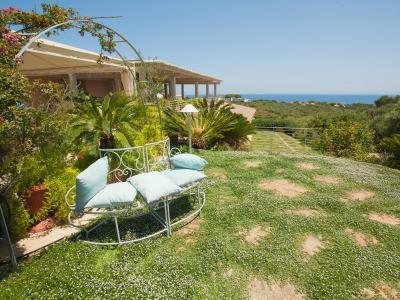 Park Hotel Asinara This rating is a reflection of how the property compares to the industry standard when it comes to price, facilities and services available. It's based on a self-evaluation by the property. Use this rating to help choose your stay! 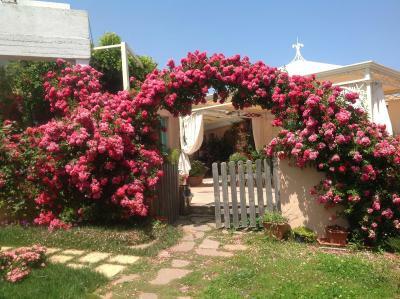 One of our top picks in Stintino.Surrounded by small gardens, Park Hotel Asinara is a 10-minute walk from Stintino town center. 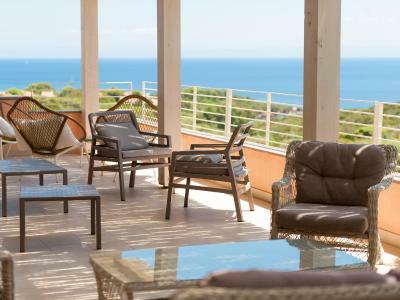 It features air-conditioned accommodations and a free shuttle to La Pelosa beach. 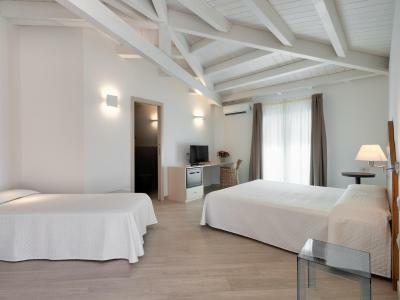 With free Wi-Fi, Sardinian-style rooms at the Asinara have a satellite flat-screen TV, a mini-bar and tiled floors. 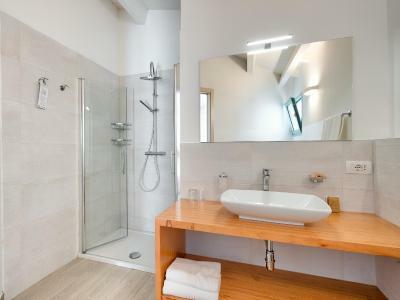 The private bathroom is complete with a hairdryer and free toiletries. Park Hotel Asinara's restaurant serves delicious Sardinian recipes, and classic national dishes. You can also book the half-board option. From April until October you can go swimming in the outdoor pool set 500 feet from the property. At reception you can arrange excursions to the Park of the Asinara Island. Parking at the property is free. 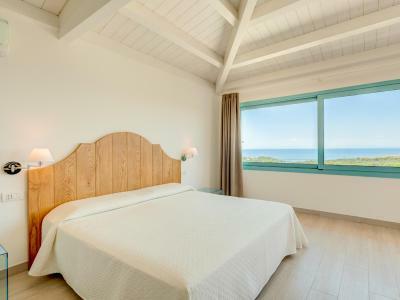 When would you like to stay at Park Hotel Asinara? 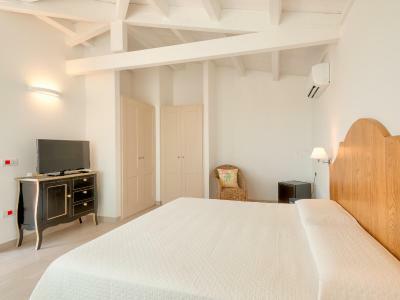 Sardinian-style room featuring a garden with patio, a satellite flat-screen TV and air conditioning. 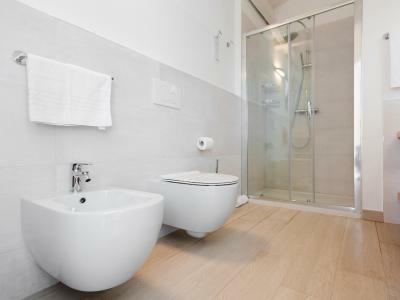 The private bathroom is complete with a hairdryer and toiletries. Wi-Fi is free. This room is only available for 2 adults and one child aged 13 years or younger. 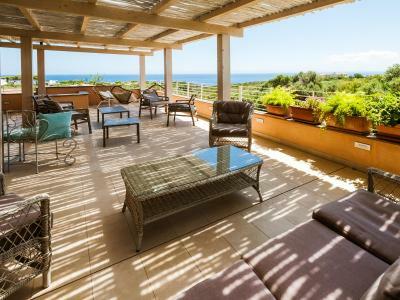 House Rules Park Hotel Asinara takes special requests – add in the next step! 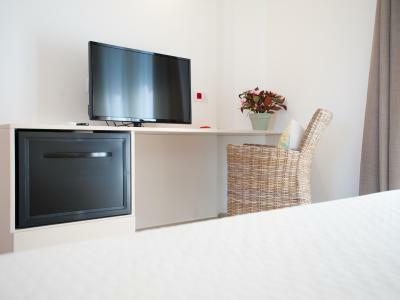 One child from 2 to 13 years is charged EUR 15 per person per night in an extra bed. ATM card Park Hotel Asinara accepts these cards and reserves the right to temporarily hold an amount prior to arrival. Park Hotel Asinara accepts these cards and reserves the right to temporarily hold an amount prior to arrival. Please note the property is set along Via La Pelosa, at the corner of Via Cala Lupo. 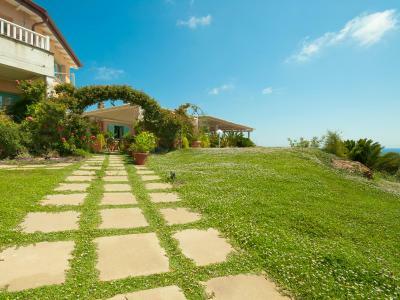 The property entrance is at Via Cala Lupo 2. The attitude of the front desk staff ( apart from the one who checked us in but we only saw her once) . The breakfast. Excellent choice if there was any, but an hour before the end it was very messy and some things were not better by filled up . Pokey room with only garden doors to open and no windows. Clean, nice view and terrace. Hard to tell..!! Gesture was warm and welcoming..!! breakfast service was slow... never received the espresso we asked for... smoking all around us while eating breakfast. The lights in the garden could be switched off in evening, they were shining in the room. Stayed for two nights, specifically to visit La Pelosa beach (which is gorgeous and definitely worth a visit). We used the hotel shuttle (free!) to get to the beach. Delicious breakfast, with a great view. We arrived late on our first night and Simona stayed late to check us in - thanks so much Simona! All in all a great stay. The room, although standard, was a bit too dark. The vicinity to the beaches and the restaurants. Personnel was available and kind. 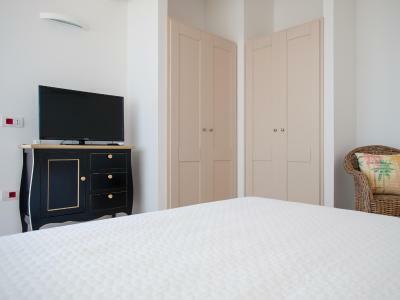 Moreover, the hotel has convention with nearby restaurants that we used. There was no staff on site at night but they left a note and were quick to get there once we called the number! A bit isolated if you don't have a car. The swimming pool is located in another hotel. Very friendly and helpful staff. Great breakfast!